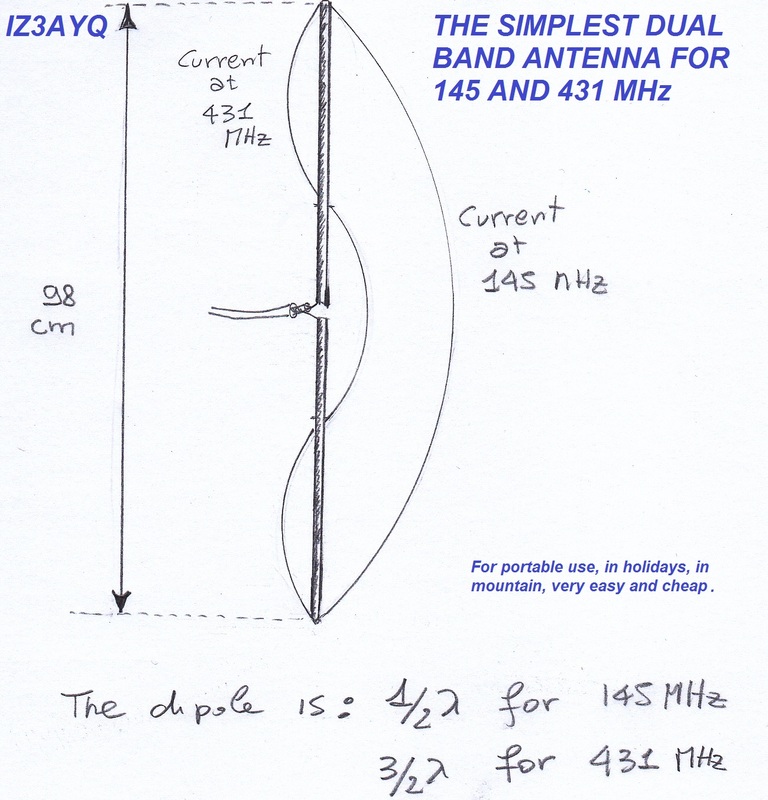 Here is a 70cm (440 Mhz) J-Pole antenna that is inexpensive, and easy to build. 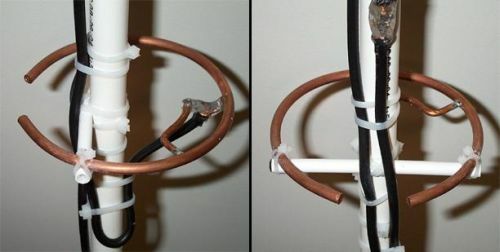 I use 1/2 inch copper pipe, and the associated fittings necessary. The dimensions aren’t typical however, this is what it took to get its SWR low. 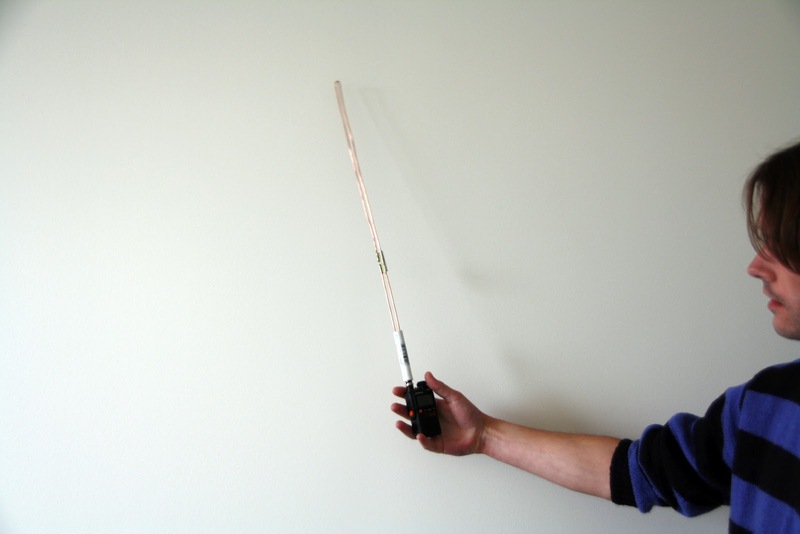 Tijdens de kerstdagen heb ik een J antenne voor de 70 cm band gemaakt van 1.5mm koperdraad om de antennespanningsmeter uit te proberen. Ik had nog een exemplaar liggen van 10mm diameter aluminiumpijp. Die ik als referentie gebruikte. During the summer season I sometimes travel to work by bike. 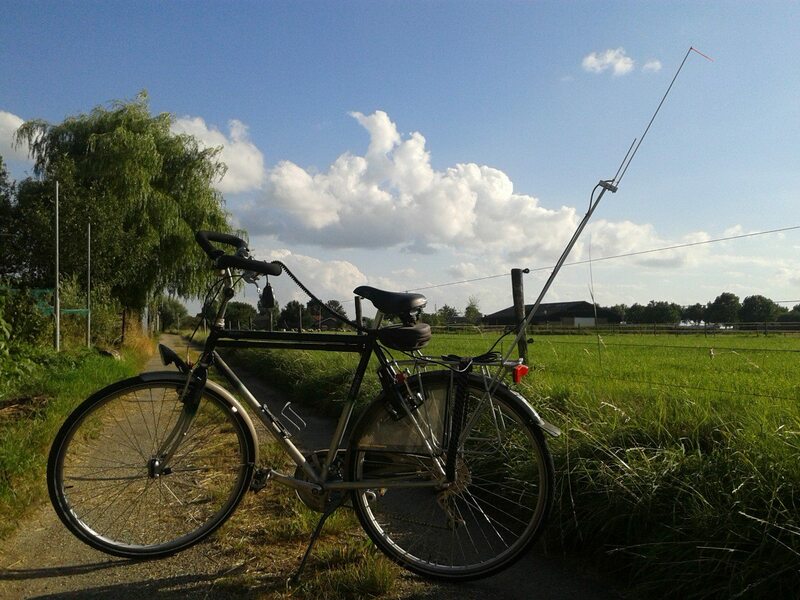 I thought it would be nice to chat with some local radio amateurs on my way back home. This is a 70cm big wheel antenna which is needed for our beacon DB0FAI. The enclosure is a carrying case for cakes. 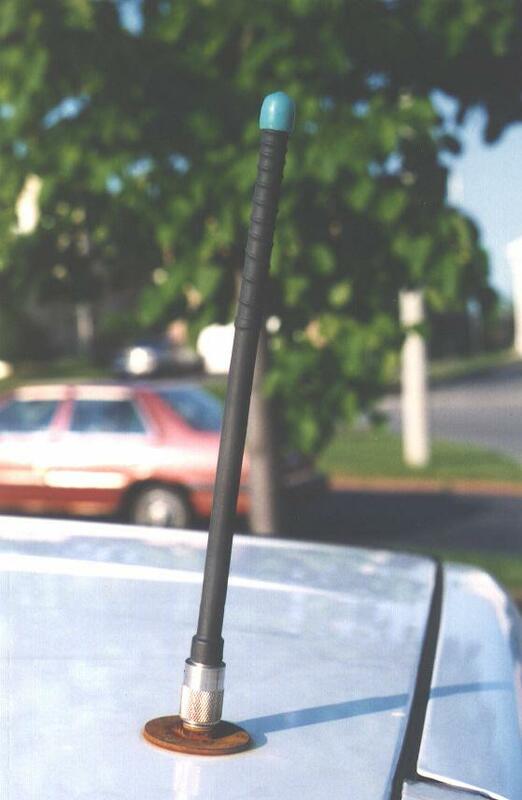 This antenna was originally described in the "VHF Communications". This paper introduces a novel and considerably simpler way to construct a Lindenblad style antenna. It uses a single dipole, driven-element along with a passive, parasitic, circularpolarizer. The single driven element is designed to provide a 50-ohm load and the circular polarizer is very easy to build. Recently the RASON technical committee was repairing our 2 meter repeater antenna. One of the members commented to me that I should write an article about collinear arrays so that we could all build our own. Generally speaking, this is a dual band design focused with better performance on UHF. It can satisfy needs on most situation.